Are You Making the Most Out of Your IWLA Membership? Now is the perfect time to check in on your member benefits. IWLA benefits are not always fully utilized by members. Here are a few programs that you may not be aware of. Bring in customer leads with the Find a Warehouse online member listing. Have you completed your member profile and added your warehouse locations? If the answer is no, you may be missing out on 3PL customer leads. Watch this video to discover how to complete your profile. Contact mail@IWLA.com for your login information. Members of IWLA can access our retained counsel to review customer contracts and answer questions on laws and other warehouse issues. Plus, IWLA recently updated its sample warehouse contracts, standard terms and conditions documents and more. Use your member login to download these documents now. 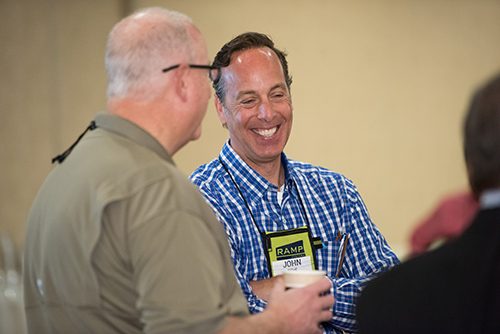 We offer you – and all your employees ­­– deeply discounted registration for warehouse-logistics educational events (the IWLA Convention & Expo and in-person programs about warehouse law, warehouse economics, safety, technology and more). The Members + Rewards program provides an added incentive: Send three or more employees to any IWLA event and receive 20 percent off your total registration cost. You can access FREE live webinars many times a year about topics as varied as food handling to business etiquette. And IWLA.com houses a library of on-demand, warehouse specific training information at a very low fee. Use the Find a Partner online listing to locate your next vendor or supplier. This tool connects warehouse members to the industry’s leading product and service providers. Choosing a supplier in the IWLA network supports the industry and the association is a smart choice. Stand out by earning your Warehouse Logistics Professional (WLP) certification. The IWLA Education Committee designed the WLP program to reflect varying levels of expertise and involvement in the industry. Professionals from every facet of the warehouse logistics employment can become certified through the WLP Program. Learn more about what it takes to get certified. If you have any questions about these member benefits or how to take advantage of your membership contact IWLA headquarters at mail@IWLA.com or 847.813.4699.